The book of Exodus provides us with one of the most dramatic adventures of faith found in the Bible. During its forty fantastic chapters, we read about the enslavement of and entire race; a baby set afloat on the Nile river; a speaking shrub; a shepherd’s staff becoming a venomous snake; water transformed into blood; miraculous frogs, gnats, flies, and locus infestations; a death angel; a sea selectively parting for the good guys and swallowing up the bad guys; a seemingly unlimited supply of flat bread on the ground in the desert every morning; birds dropping in for dinner; water flowing out of rocks; and much, much more. The stuff God pulls off in Exodus is way better than anything Indiana Jones, Iron man, or a Jedi relying upon the force could possibly accomplish. Seriously, someone should consider negotiating a film deal with God. I really believe the story that unfolds in Exodus would be a blockbuster success. Wait, has someone already done that movie? As fun as it is to read the stupendous Exodus story, I want to make sure you don’t miss the primary reason God inspired this book to be included in the Bible. 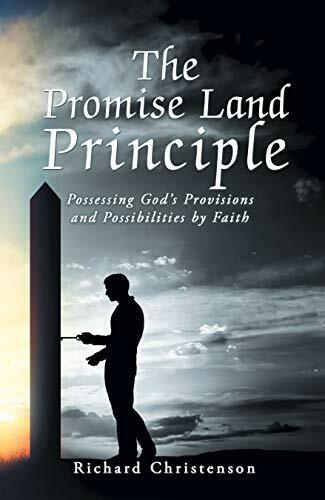 this intriguing, inspirational narrative is about faith; how god goes about preparing His people to carry out their intended work and warfare with reliance upon His presence, power, and provision. The purpose and possibilities of our partnership with God are the primary teachings conveyed through all the awesome Exodus adventures.